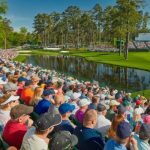 As with any major sporting event the backs of newspapers and the tops of computer screens have been covered in headlines regarding the build up to 2017 Masters. 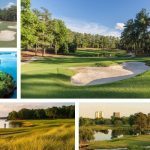 So far this week, the weather has been a massive obstacle with practice rounds being cancelled on both Monday and Wednesday, with the Par 3 contest also being cancelled for the first time since it began in 1960. The par 3 wasn’t without a a bit of fun as 2003 Masters Champion, Mike Weir managed to sneak a hole in one before it was brought to a close by thunder and rain. Luckily the sun was shining Tuesday and Mark, Lockey and I managed to see plenty of golf as well as being able to admire this beautiful course in 31 degree heat. Away from the inclement weather, world number 1 Dustin Johnson has grabbed the headlines after taking a fall down the stairs on Wednesday evening meaning his now a doubt to play later on today. He is the last tee time so fingers crossed he will be in action. Rory McIlroy has changed his clubs in preparation for his Green Jacket attempt, the Irishman said he was looking for a club with “less spin” as he hopes to complete his career grand slam this Sunday. Jason Day is also back in the field after pulling out of the WGC Match Play 2 weeks ago to be my his mother’s side. The former world number 1 has a good record at Augusta and after winning his 1st major at the end of last year he will surely be looking to pick up where he left off and don his first Green Jacket. 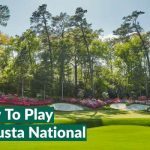 The world number 1 is arguably everyone’s form horse heading into the 2017 Masters with 2 wins already this year and a game long enough to overpower any course, he is at the top of most people’s list of players who could claim their first green jacket this year. After his win at Riviera where he became the world’s best player, DJ went onto win the WGC in Mexico to join only a handful of players to follow up becoming World Number 1 with a win. His win in the WGC Mexico was his 4th World Golf Championship proving to the world once again that he is more than capable of beating the game’s best players on some of the biggest stages. Johnson also clinched his first major title at the US Open last year further augmenting the fact that a big field and big stage does not phase him. Dustin Johnson may be the form horse but surely Jordan Spieth has to be everyone’s favourite. Spieth is just 23 year olds and already has 2 major titles to his name and 7 PGA Tour titles (just let that sink in). But what makes Jordan such a huge favourite is his record at Augusta National; he has two 2nd place finishes and 1 green jacket in hist 3 career starts at The Masters. With a record like this he clearly feel very comfortable on the perfectly manicured fairways at Augusta and following his horror show on the back 9 last year he will most definitely be looking to put that behind him and win another green jacket it is quite likely that he will be blow away all of his opponents in doing so. Many may consider Justin Thomas to be a surprise pick heading into the Masters with only 1 previous appearance at Augusta. However, recent form this season would suggest that Justin is amongst the favourites heading into the year’s first major with 3 victories already and 5 top 10s. His game is arguably perfect for Augusta and majors in general, he currently sits 1st in birdie average and 5th in strokes gained tee to green meaning he is not only accurate off the tee but has what it takes to sink crucial birdie putts. 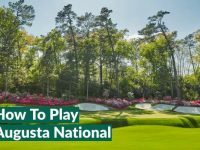 Being in the habit of winning is key when going into the Masters and despite having minimal major experience, Thomas clearly knows what it takes to string 4 winning rounds of golf together in a PGA Tour event. Last year Danny Willett went into his opening round of the Masters with odds of 200/1 to win and following arguably one of the biggest collapses in Major championship history by Jordan Spieth, he went on to win the coveted Green Jacket. This year currently 4 players have the same odds, Hideto Tanihara who impresses at the WGC Matchplay, Kevin Na, Steve Stricker and former US Open Champion Webb Simpson. 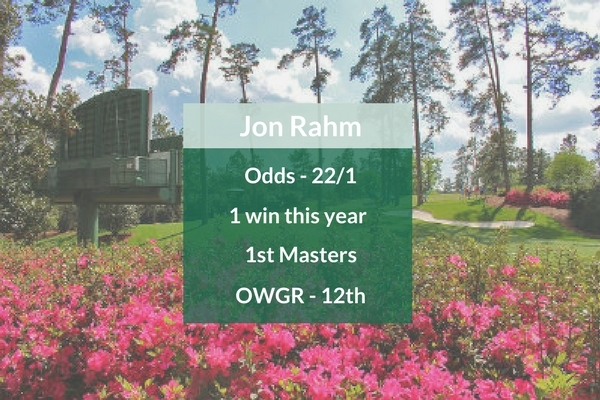 However, our outside pick this year, John Rham who actually has odds of just 22/1 and in a lot of people’s eyes has a very good chance of winning this year’s Green Jacket. Having won his first PGA Tournament earlier on this year, Rham has since finished 3rd and 2nd in the last two World Golf Championships proving he has what it takes to compete against the world’s very best players. This year will be Rahm’s first Masters Tournament and I’m sure the Spaniard will be looking to rewrite history and become the first player to win the Masters in his first tournament. 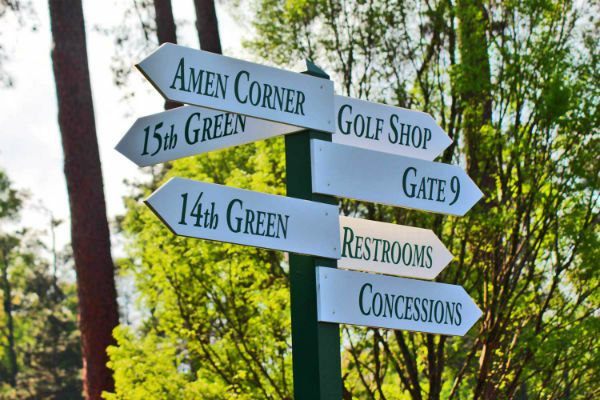 Understandably people are often mistaken for thinking food and drink at Augusta would be pretty pricey but, unlike other marquee golf events such as The Open; that couldn’t be further from the truth. The classic Masters Pimento Cheese Sandwich is just $1.50 but unfortunately that doesn’t interest me as I’m not a cheese fan…please don’t judge me! 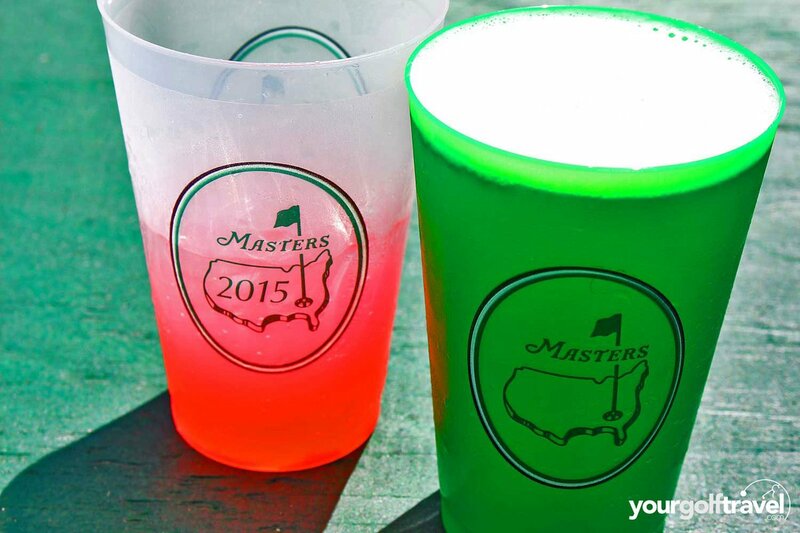 You can upgrade to a Hot BBQ Sandwich for £3 though and they’re pretty damn good, especially washed down with a pink lemonade for $1.50, or an import beer (you get a special green Masters cup with this one which is a nice memento to bring home) for $5. Snacks are available too from a dollar so you can keep yourself pretty well fed and watered for next to nothing, even if you’re at the course for the entire day. You’re never too far from a concession stand but the best one is conveniently located right by my favourite viewing spot on the course, just a few yards from the 16th tee. This one is a little less busy than the one near Amen Corner so queuing time is pretty short. Go for whatever tickles your fancy, but I can recommend sticking to the BBQ sarnie, pink lemonade and import beer…don’t go mad on these though as it can get pretty hot in the Deep South and you’ll need plenty of energy to walk the course.